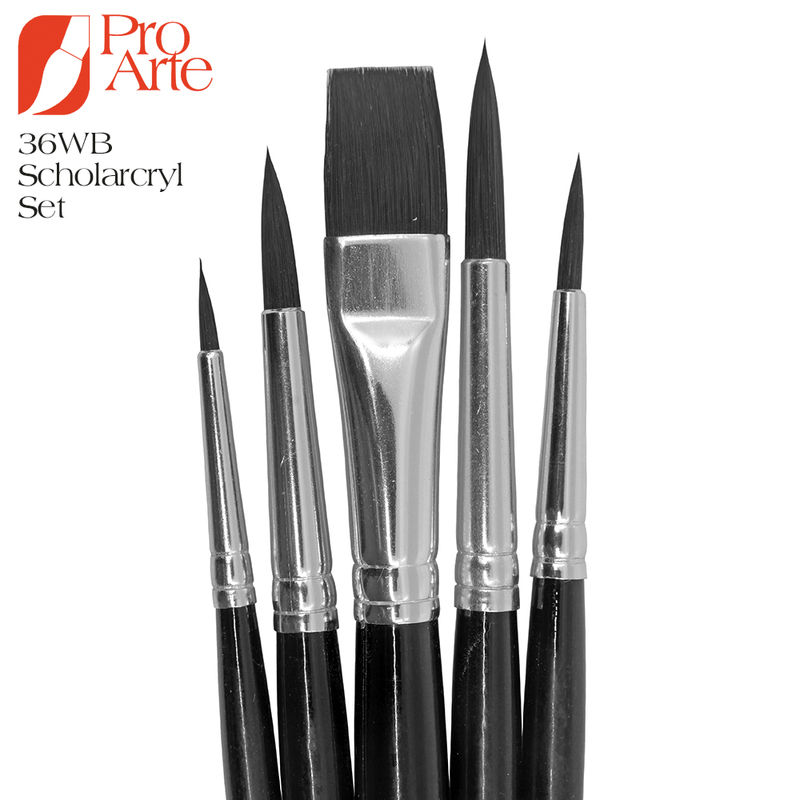 The Pro Arte 36WB Scholarcryl Brush Wallet Set contains five brushes from the Scholarcryl brush range. These brushes are made from a stiff and durable synthetic hair, which makes them ideally suited for both Oil and Acrylic painting. The hair is firm enough to handle paint straight from the tube and also has good colour holding and pointing capabilities. They are a great, economical choice for amateurs and beginners!